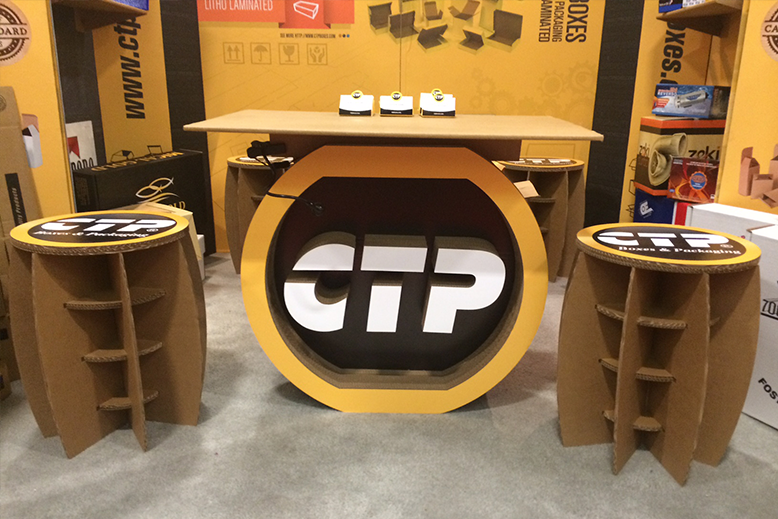 Lightweight, durable, and made for travel; if you have an upcoming tradeshow, CTP Boxes and Packaging has the tools and materials you need to ensure your personalized marketing kiosk will stand out in a crowd. 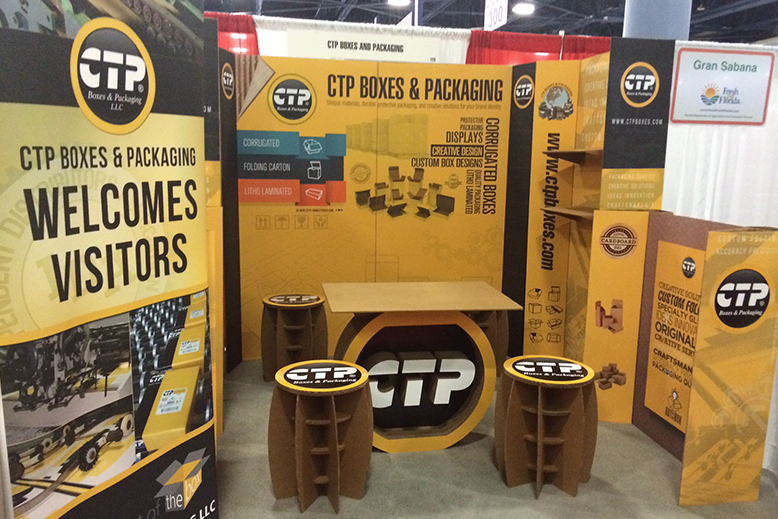 Made from layers of sturdy corrugated cardboard, our large selection of stools, standees, cutouts, partitions, floor displays and shelving options will provide you with ample space to showcase and sell your products and services without the bulk or weight of fabricated metal, wood, or plastics. 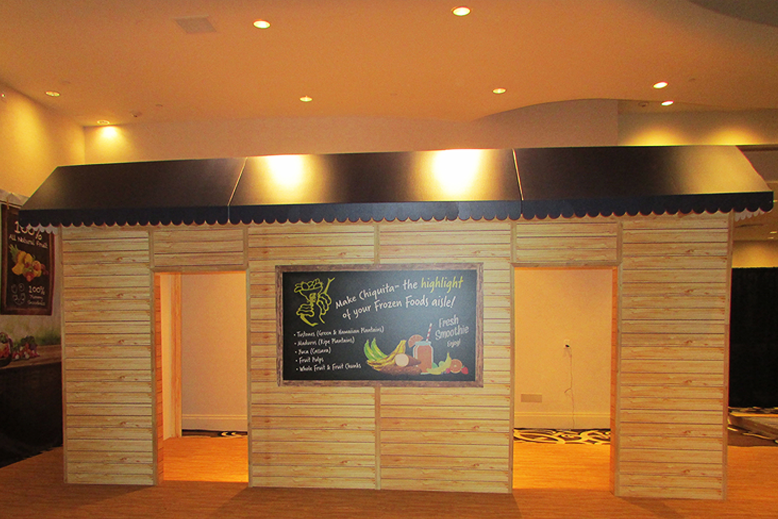 Delivered flat-pack, our pop-up solutions can arrive with you, leave with you, and won’t take up additional space in your vehicle making for a slim, smart, and streamlined solution for any business. 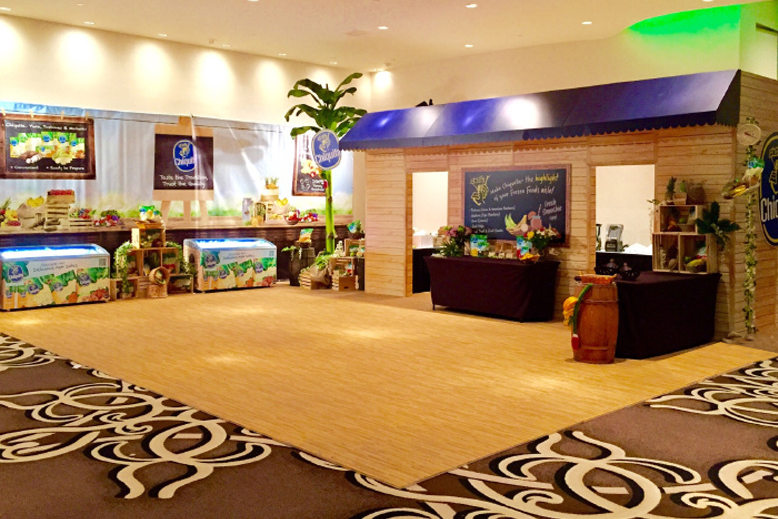 Depending on your unique needs, our expert team of designers will help you create or update your logo, branding, and color scheme, creating images, infographics, and poster boards suitable for your audience, venue, and the size of your booth. Pop-up countertops, stools, and benches can help to create an inviting space for your potential customers, and like all of our products, our furnishings are safe, durable, built to last. 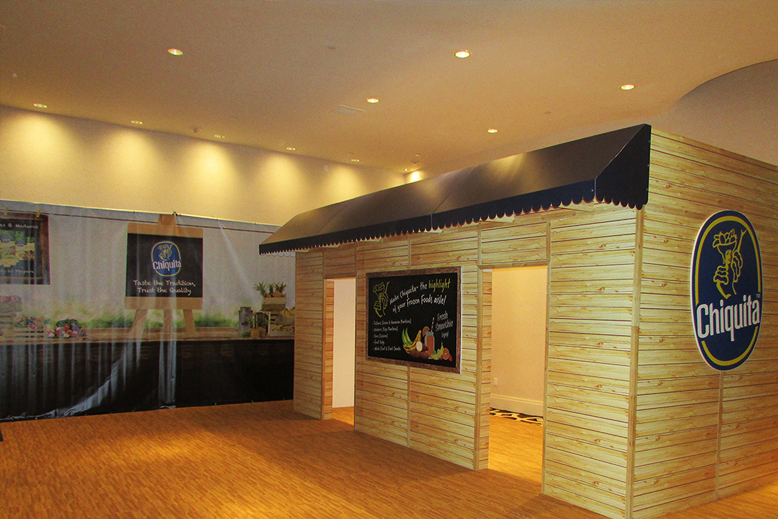 Designed to handle weight without adding bulk, the added novelty of corrugated furniture will encourage passersby to ‘take a seat’ giving you the opportunity to introduce yourself and your business. 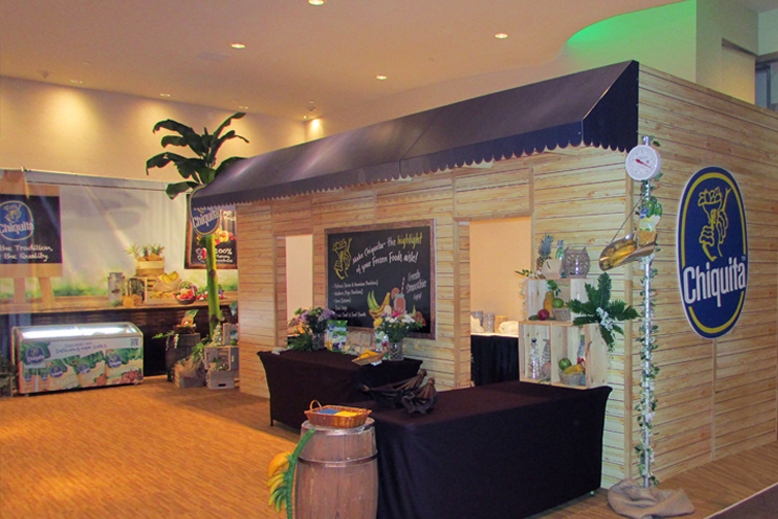 At most tradeshows floor space is limited, so combining unique visual impact with practical consumer information is crucial to success. 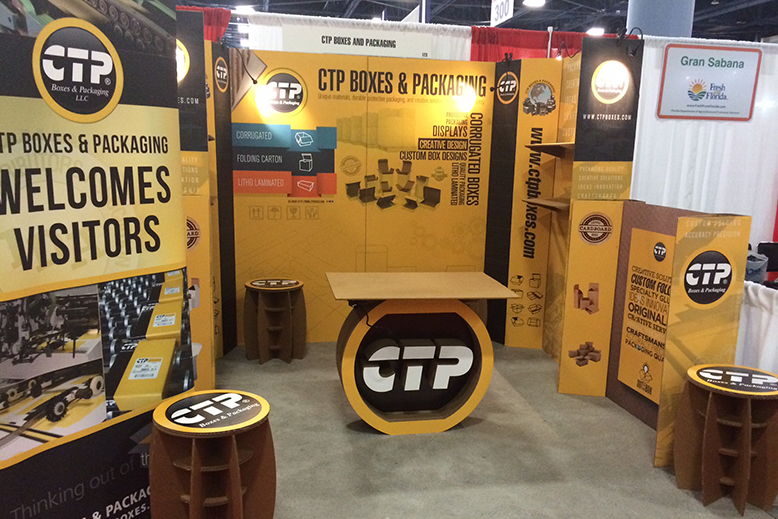 Depending on the size of your space, the experts at CTP Boxes and Packaging will create a personalized marketing selection designed to showcase the best of your business via custom text, graphics, and corporate branding, while retaining the functionality of the space you have, allowing you room to store samples, goods and materials. 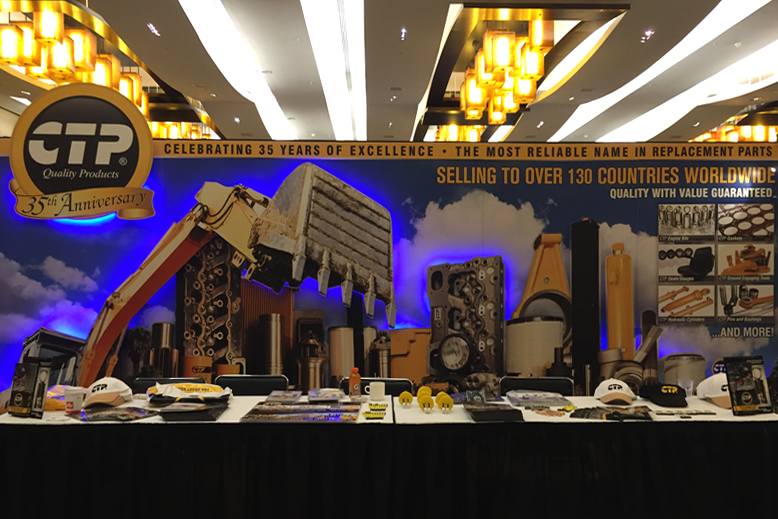 Eye-catching and informative, our three-dimensional cutouts and standees offer small businesses the opportunity to impress on a budget, or can be including as part of a larger marketing solution. 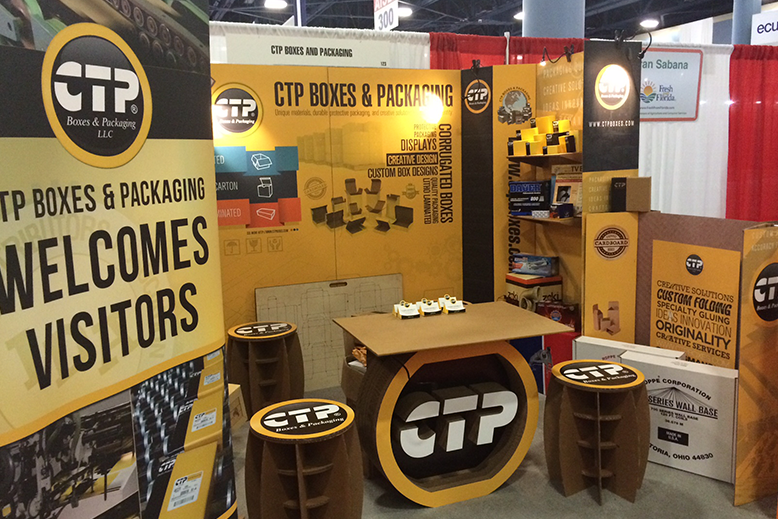 Safe, sturdy, and built to handle additional weight, our wide variety of chipboard display kits and shelving options make it easy to showcase your samples, goods, and materials while on the road. 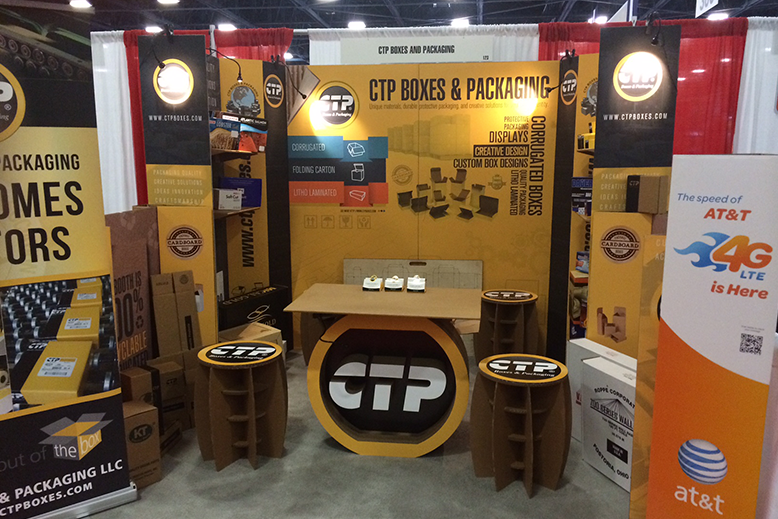 Don’t worry, at CTP Boxes and Packaging we use only the best in cutting, gluing and lithographic machinery, meaning we can cut, size, and customize almost anything. 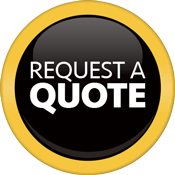 If you are looking for something specific but don’t see it here, give us a call – if anyone can do it, we can.